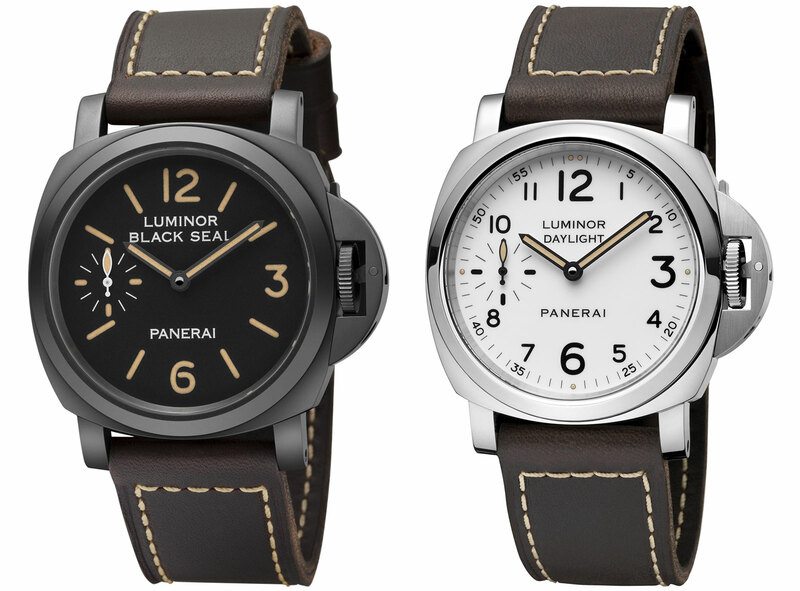 Panerai has looked into its more recent history for the new Special Edition Set Luminor Black Seal And Luminor Daylight PAM785, a remake of collectible Pre-Vendome models from the nineties, equipped with the P.5000 movement. 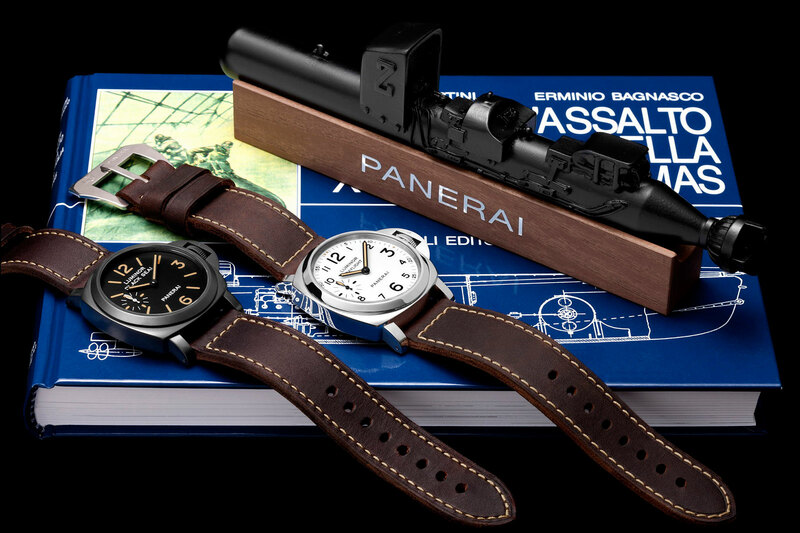 Panerai timepieces made before the Vendome Group (the predecessor of Richemont) bought the company are known as Pre-Vendome watches. They are desirable and generally expensive. 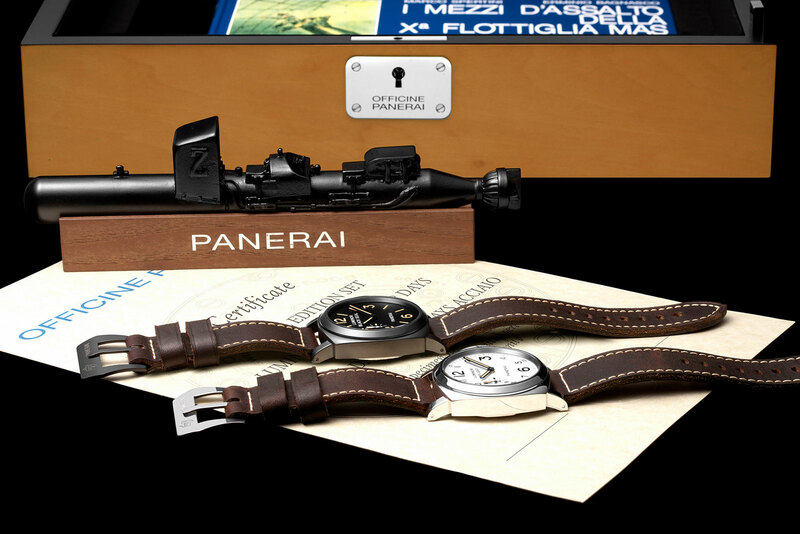 And finally Panerai has created a remake of two Pre-V watches from the nineties, the Luminor Black Seal And Luminor Daylight, packaging them as a limited edition set known as the PAM00785. To the casual enthusiasts both are dead-ringers for the original Pre-V timepieces, with faux aged Super-Luminova imitating how the 20 year old originals look today. A notable difference is that the originals had “Slytech” on the dial, a nod to Sylvester Stallone, who wore one in the film Daylight. The Luminor Black Seal has a diamond-like carbon (DLC) coated steel case, while the Daylight is polished steel. Both have closed backs similar in style to the Pre-V models, but unlike the basic Unitas models found in the originals, the remakes are equipped with the P.5000 movement. 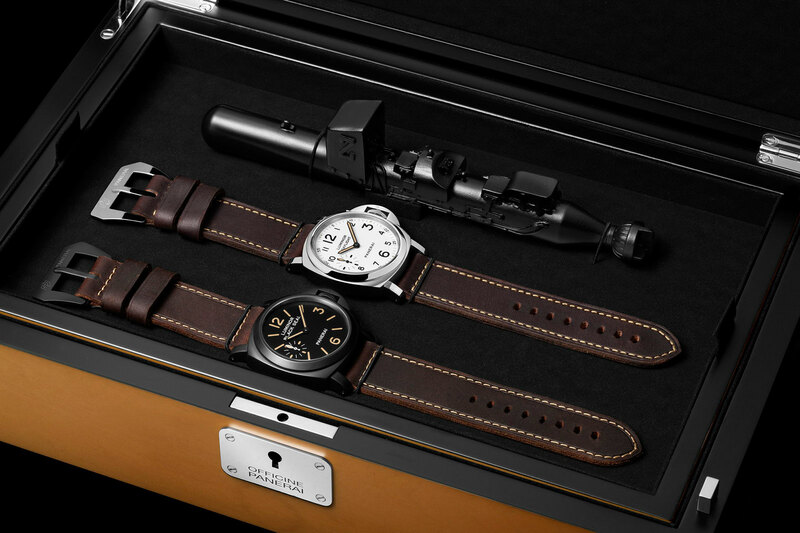 That is Panerai’s entry level in-house movement with an eight day power reserve. Both watches are supplied on Pre-V style straps with sewn-in buckles. 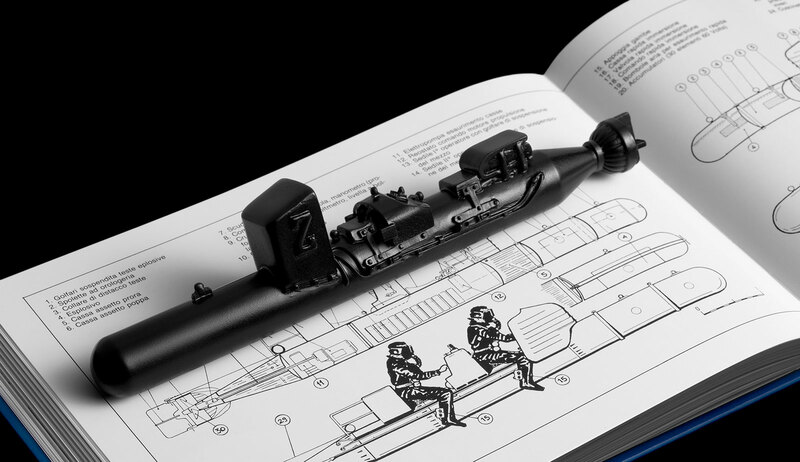 They come presented in an oblong box (the Pre-V boxes were similarly shaped though smaller), with assorted paraphernalia including a model of the submersible Italian navy commandos used during the Second World War. 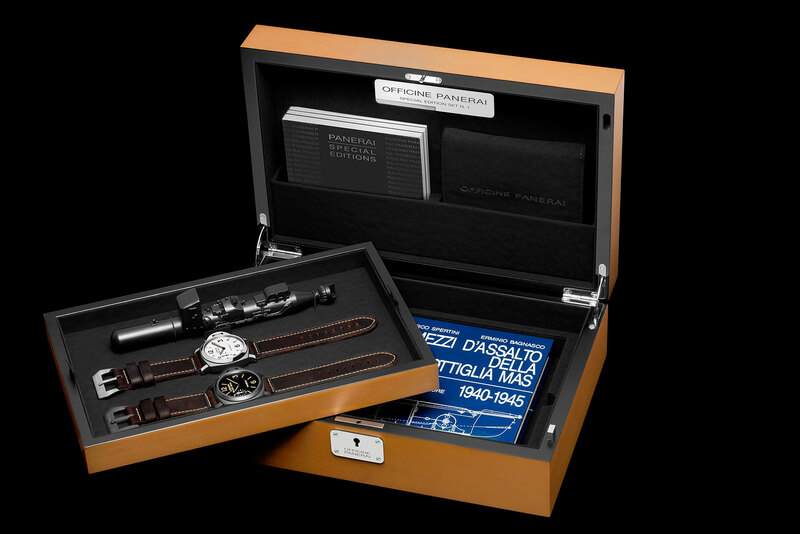 Sold only as a set, with only 500 sets made, the PAM785 Special Edition Set Luminor Black Seal And Luminor Daylight is priced at €15,900, which works out to about US$20,100.